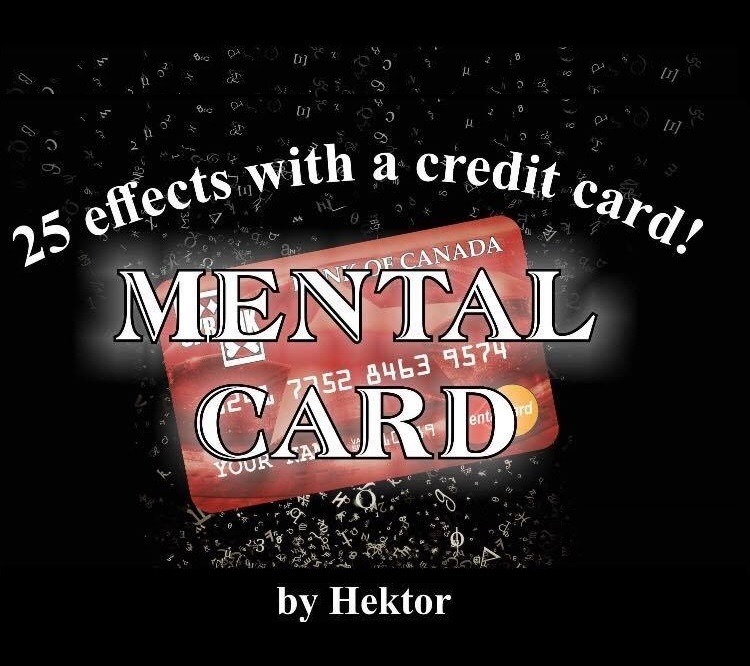 Today, when you order "Mental Card by Hektor (special credit card and instructions)", you'll instantly be emailed a Penguin Magic gift certificate. You can spend it on anything you like at Penguin, just like cash. Just complete your order as normal, and within seconds you'll get an email with your gift certificate. 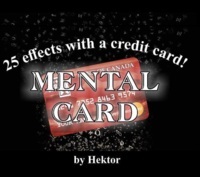 The Mental Card is the BEST such a multi-effects credit card EVER CREATED!! It is the first and the only prop of this kind which allows you to make 25 (!) magic/mentalism effects – a whole magic show in your wallet with you at any time and everywhere! – combine it with your deck of cards for more powerful effects! This is the ONLY product on the market which allows you to do 25!! (and more) effects with a single credit card. The text part on the face of the credit card is now with relief (3D) letters and nothing can be peeled off and practically the card can be used a lifetime! The Manual included explanations of 25 effects but with your imagination you can make even more! There is also instructions how to install the free app for your Virtual Reality animations. The colors and whole design are very carefully selected and the card is created by high quality materials. It really looks like a normal credit card and it is full with a lot of hidden features for many wonderful magic/mentalism effects. • Don’t leave home without it! The Mental Card is a product of the Mystery Wallet series by Hektor. You can check also for the Mystery Calendar, Houdini Spirit Board and Mystery Card v.2. 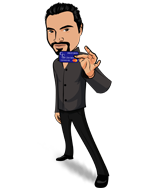 The Mental Card looks like but is not a real credit card. It is a magic prop, with no magnetic stripe data contained. It should be used solely for entertainment purposes. It is not affiliated with nor endorsed by MasterCard or any other bank institution. This is a really well made “Bank Card”. It offers a multitude of effects you can do. It looks real and offers more than any other single card available. I particular love the QR reveals. I will be always carry this in my wallet. Ideal if you have nothing else with you and you need to do something. I got this effect directly from Hektor. The credit card allows you to do multiple reveals. I like the ones that are shown in the demo the most. The gimmick itself is very well made. It feels and looks just like a regular credit card.